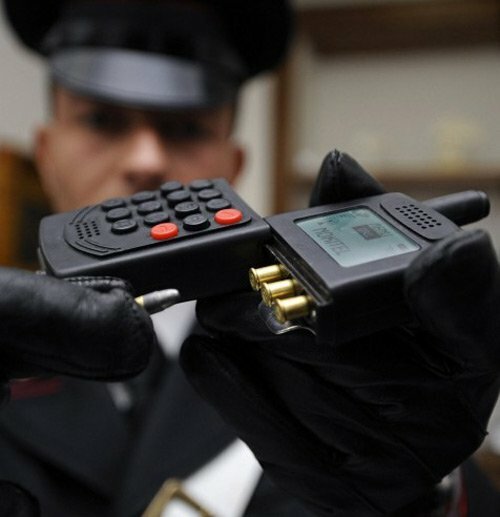 The Italian Police have uncovered a cellphone gun in a recent raid on the Italian Mafia. The gun holds .22 caliber bullets and is loaded when the keypad is slided side to side. 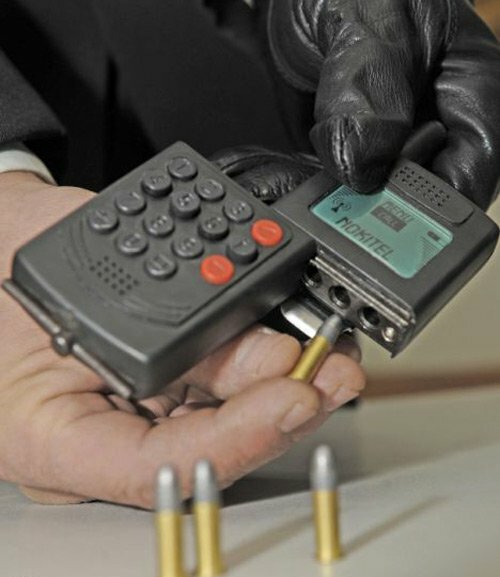 The gun barrel is hidden in the fake cellphone antenna, and it is fired when a button is pressed on the keypad. The raid in a Naples suburb was part of an operation against the Gionta crime family of the Camorra, the port city’s version of the Mafia.